Hospitality Search Engine Optimization Case Study | Anvil Media Inc.
Hotel Max is a hip, urban hotel in downtown Seattle. Formerly The Vance Hotel, Hotel Max required a new Web site to introduce the new identity to the downtown Seattle hotel market. 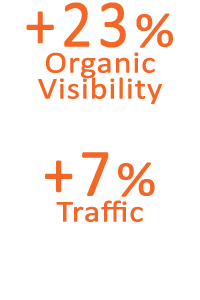 Anvil helped by providing search engine optimization (SEO) services to increase visibility in organic search results. The overall objective for The Hotel Max site re-launch was to increase visibility in organic search listings for top tier keywords (i.e. “seattle hotel”) and to drive qualified traffic to the Web site. UPDATE: Now that Hotel Max has established itself in the organic rankings via search engine optimization, Anvil sought to increase Hotel Max’s brand awareness by reaching out to potential guests via social media channels like Twitter & Facebook. Typical to many hotels, the Web site was fairly small in scope with limited opportunities to optimize code & copy. 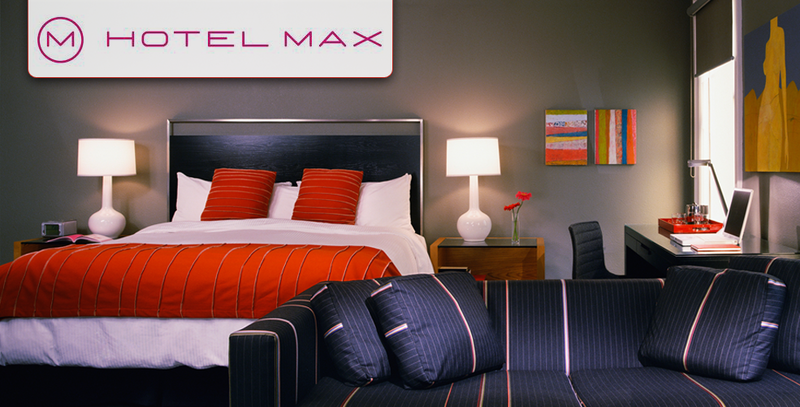 Hotel Max also faced extremely tough competition from a variety of downtown Seattle hotels. Update: Generally social media sites aren’t used as conversions channels due to the intent of the users. These sites, like Facebook & Twitter, are communication channels for those to stay in touch with friends, co-workers, etc. Leveraging years of previous hospitality experience, the Anvil team conducted in-depth keyword research to expand on previous efforts. In addition, Anvil revised elements of the site source code prior to submission. Special care was taken to leverage existing Vance Hotel visibility for targeted terms during the transition. Update: In order to create awareness for the hotel, Anvil began promoting Max’s Facebook & Twitter accounts via their website and landing pages, on blogs (for the hotels that have them) and in email newsletters. In addition to those tactics, Anvil provided strategy for how to seek out new followers & fans on both Twitter & Facebook. The goal was to get as many friends/followers as possible, as this was the most cost effective way to push messaging to folks who have opted in. These are active listeners. Hotel Max was diligent about joining conversations already taking place about Seattle or its hotel to ensure these folks were aware, if, and when, they did travel to Seattle.